One of the most charismatic young fighters currently in the UFC is back. 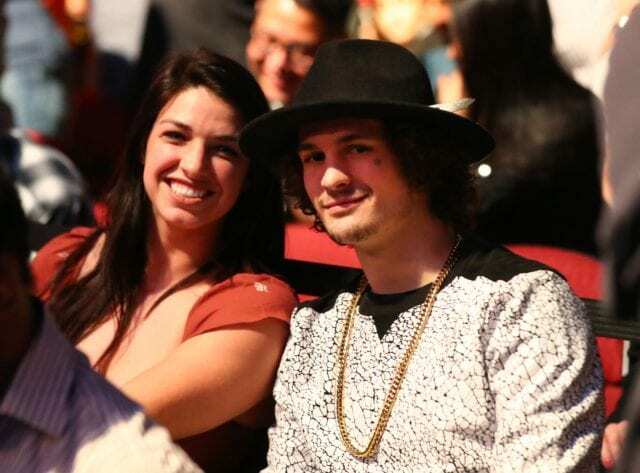 Hyped bantamweight ‘Sugar’ Sean O’Malley returns at UFC 229. Initial reports surfaced last week that ‘Sugar’ would be returning to the octagon on Oct 6 at UFC 229 to fight Alejandro Perez. The headline is half true. O’Malley is back after signing a new four-fight deal with the promotion. He will meet Jose Quinonez on the PPV portion of UFC 229 from the T-Mobile Arena in Las Vegas, Nevada. 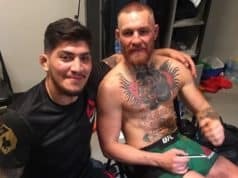 O’Malley indicated on ‘Ariel Helwani’s MMA Show’ that Perez wasn’t able to get medically cleared to compete for the bout. Quinonez (7-2) is riding a four-fight win streak. His last defeat came at the hands of the before-mentioned Perez at UFC 180. Ever since earning his UFC contract on the first season of Dana White’s Tuesday Night Contender Series, O’Malley’s trajectory has been skyward. The 23-year-old has made it look easy inside the octagon. O’Malley will look to improve upon that against Quinonez.